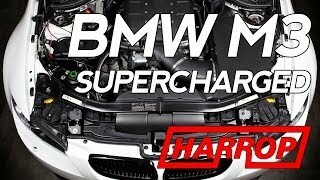 Look no further than the Harrop "Ultimate" kit to satisfy the demands of serious street and track enthusiasts. 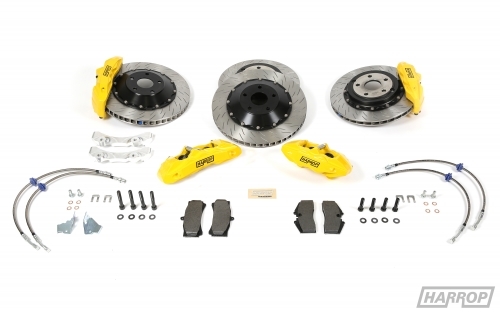 The 2-piece bobbin drive system utilised in the front rotors is the same system that is used in motorsport applications to handle the heat differential between the cast iron rotors and aluminium adaptors (hats). 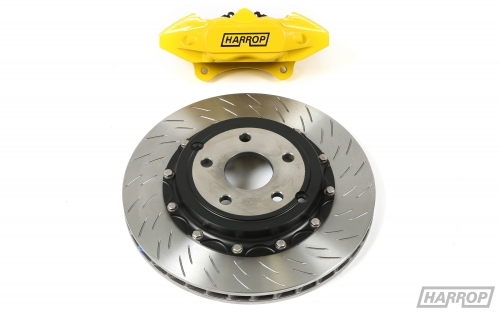 The rotor and caliper design pushes the boundaries of extreme braking to achieve world class performance with independently tested 100-0 km/h stopping distances less than 35m. 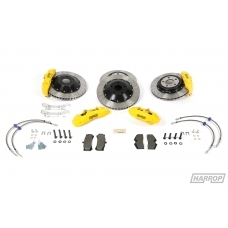 The kit provides the ultimate in performance while maintaining perfect braking balance under all driving conditions. Front Rotors: 381mm x 32mm 2-Piece, 48 vane, bobbin drive with 24 broken slots. 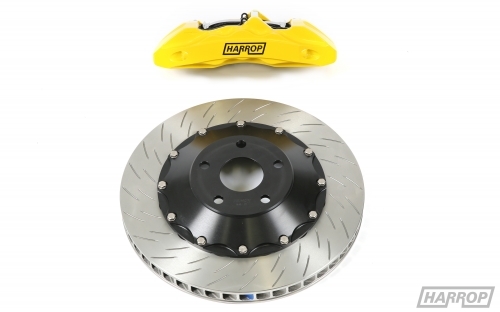 Rear Rotors: 356mm x 28mm 2-Piece, 36 vane directional with 24 broken slots. 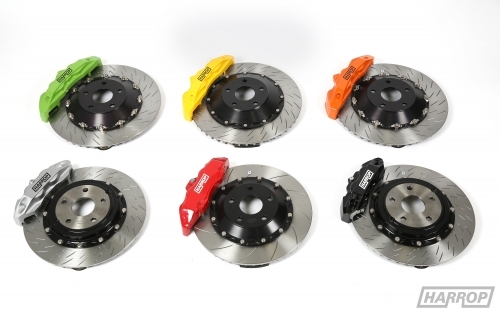 Front Calipers: 6 Piston lightweight aluminium calipers available in selected colours. 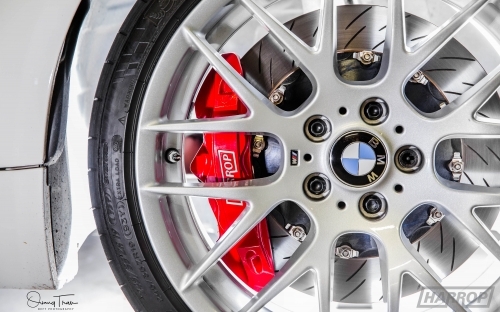 Rear Calipers: 4 Piston lightweight aluminium calipers available in selected colours. 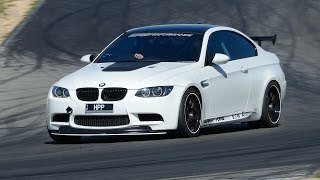 A minimum of an 19” wheel diameter is required, excluding specific BMW 18" forged motorsport wheels - Caliper sweep template is available above in the download tab to check specific fitments. 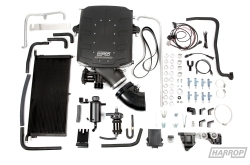 Stainless steel braided brake lines are included as part of the kit. Calipers available in red, yellow, black, silver, orange or green.